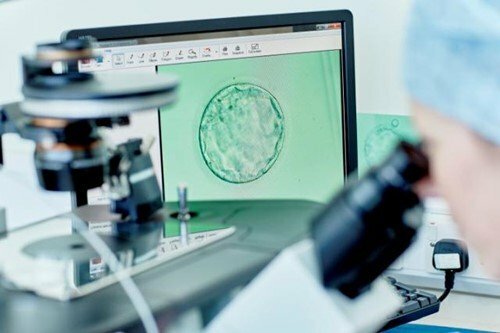 For over 15 years, CARE fertility have pioneered Reproductive Genetics in the UK and Ireland making it possible to screen or test embryos, for chromosome number or specific genetic diseases before they are implanted. Some couples may already be aware that they are at risk of having a child with a genetic (inherited) disease such as Cystic Fibrosis. Other couples may have experienced miscarriages or unexplained difficulties in conceiving that may be genetically linked. Genetic counselling: This is to ensure that couples are given the opportunity to fully understand their risks of having affected embryos or a child with a genetic disorder and the impact of the illness. Fertility treatment: All couples will require fertility treatment such as IVF to produce embryos for testing. Even couples who have no difficulty conceiving but who wish to benefit from the genetic testing will require IVF. Embryo Biopsy and Testing: This is the process of removing a few cells from embryos approximately five days into their development. The embryos are then frozen and the cells are sent for testing to a specialist genetic testing centre using the latest Next Generation Sequencing Technology. Follow up Treatment: It is the hope that at least one or more of the tested embryos will be considered suitable to be implanted having undergone genetic screening or testing. The embryo(s), will then be thawed and replaced at an appropriate time in the woman’s cycle in the hope of a healthy baby. In partnership with Dr. Willie Reardon, Consultant Clinical Geneticist, Crumlin Hospital. We offer two distinct treatment services for patients – Pre-implantation Genetic Diagnosis (PGD) and Pre-implantation Genetic Screening (PGS). It is recognised that approximately 70% of embryos produced either through natural conception or through fertility treatment do not implant or are lost due to miscarriage, often due to chromosome abnormalities. The majority of these abnormalities are not compatible with life and the risk of these occurring increase with maternal age. PGS aims for ‘one healthy embryo, one healthy baby’. This type of screening differs from PGD in that the embryo is screened for general chromosome abnormalities associated with extra or missing chromosomes, called aneuploidy, such as Downs Syndrome or Turners Syndrome, but it doesn’t identify specific single gene related disorders such as cystic fibrosis. The benefits of this technique is improved success rates with fertility treatment, reduction in the number of miscarriages, and the reduction in the number of multiple pregnancies. This technique is offered to couples who are aware that they may have a risk of having a child with a serious genetic disorder. It involves the couple undergoing fertility treatment, even if they have no fertility issues, and having the embryos genetically tested. Only the healthy embryos being replaced in the uterus, or womb. The term ‘diagnosis’ is used to reflect that the testing looks for a specific disorder or mutation. Examples include: Cystic Fibrosis, Haemophilia and Huntingtons disease. We are now able to test over 400 different types of genetic disorders. How is PGS and PGD performed in the embryology laboratory? At the National Institute for Reproductive Genetics, the testing of the embryo is performed on cells removed from an embryo at Day 5 or 6 of development. This procedure is known as embryo biopsy and requires specifically trained embryologists (scientists). The figure above outlines the biopsy procedure: A) A human blastocyst is formed by 2 sets of cells, the Inner Cell Mass (ICM) that provides the cells that will develop into the foetus, the Trophectoderm (TE) that provides the cells that form extra-embryonic tissues such as the placenta, and the Zona Pellucida (ZP), a fibrous layer that protects the embryo from the external environment. The embryo hatches from the ZP around day 5/6 post fertilisation to make direct contact and implant in the uterus. B) A portion of the ZP is removed using low power laser pulse to expose TE cells for biopsy. C) A small portion of TE cells is biopsied from the rest of the embryo using a combination of micromanipulation and laser pulse. D) Biopsied cells are tubed and sent for analysis. Who might benefit from PGS? Theoretically, PGS may reduce these risks, although this has not been conclusively proven and at NIRG, this technique will only be recommended by our clinicians if they believe it will offer benefit based on each couple’s individual history. How common are chromosome abnormalities in embryos? It has been shown that the risk of chromosome abnormalities is greatly influenced by the age of the mother. For women in their early thirties, about 35% of embryos are abnormal. However, over the age of 40 it is typical for at least 75% of embryos to suffer from aneuploidy. What does a cycle of preimplantation genetic screening involve for the couple? Consultation with one of our fertility doctors to ensure that the fertility treatment is possible and appropriate and to explain to the couple what is involved in the process including the chances of success, risk and costs. If the couple require PGD, then an additional consultation with a Clinical Geneticist or Genetic Counsellor, is necessary so that the couple are fully informed about the risks and impact of the illness. Once the results are available and at least one healthy embryo has been identified, it is then thawed and replaced in the uterus at an optimal time to achieve pregnancy. Are there any risks with PGD or PGS? As with all assisted reproductive techniques it is important to understand the risks that are involved when using this technology. By performing PGS or PGD, and having a normal embryo transferred cannot guarantee a positive pregnancy test, a viable early scan or a healthy live birth. However, the technology will significantly reduce the risk of miscarriage, increase the chances of implantation and the birth of a healthy baby. Other risks include the chance that no embryos may be suitable for biopsy as they haven’t reached the correct stage of development. The screening may also find that none of the embryos after testing are normal, in which case there may be no embryo transfer procedure. The likelihood that this will happen is influenced by a variety of factors; mainly female age and the number of embryos available. Some embryos may have no diagnosis, due to the absence of chromosomes, embryo quality or testing procedures. Misdiagnosis can result in false positive results (normal embryos being diagnosed as abnormal) or false negative (abnormal embryos being diagnosed as normal). The risk of clinical misdiagnosis is less than 5%. Due to the chance of misdiagnosis, we strongly recommend prenatal testing. 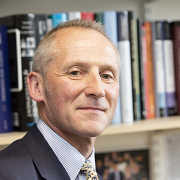 We are delighted to be working with Dr Reardon, who has over 25 years experience in Clinical and Medical Genetics, specialising at the world-renowned Great Ormond Street Hospital (1988 – 1999) and the Hospital for Sick Children, Toronto (2007). He is now based at Our Lady’s Hospital for Sick Children in Dublin, and is also the Consulting Clinical Geneticist for the National Maternity Hospital, Dublin.